It’s rare for Pakistani filmmakers to attempt something different in terms of making unique, unusual and off-track films. Luckily, Ammar Lasani and Kanza Zia have tried to offer something different to Pakistani cinemagoers in the form of Gumm. Gumm stars Sami Khan, Shameen Khan and Shamoon Abbasi in the lead roles. With a fresh star cast, unique storyline and not a lot invested in promotions, Gumm seemed to have almost everything it takes to appeal to audiences. 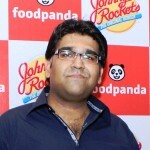 The plot revolves around Asad (Sami) who regains consciousness after an accident. He seems to have completely forgotten what has happened to him and looks towards the driver, only to find him dead. On the radio, Asad hears that a bank robbery took place recently and the two thieves ran away with the money. Soon, Asad realises he is in fact one of the thieves and that the police are after him. As he starts connecting the dots, he comes face to face with Haider (Abbasi) who is also in search of the bag of money. Gumm is thus basically about what happens when the two meet and who ultimately ends up with the money. Sami looks decent in a few scenes, but his performance needs to look more effortless. His scenes with Shameen, particularly in the flashbacks, aren’t very convincing at all. Abbasi, on the other hand, looks great and is in perfect shape. He expresses his anger, cold-bloodedness and ruthlessness with great command. Meanwhile, Shameen isn’t mainstream heroine material at all, and needs to put in a lot of effort to maintain a consistent and believable performance. For any film to be successful, its content is obviously very important. Unfortunately, Gumm lacks meaningful content. The film at first appeared to have a decent storyline and perhaps could have made for a decent watch. However, poor filming and failing at execution overall make it a below-average attempt in an industry that is increasingly churning out much better films than this. The dialogues of the film are very weak and fall almost entirely flat, having no impact whatsoever despite this being a drama. Although the writers evidently tried to make the film more emotionally engaging, these efforts also didn’t quite follow through. The script of the film is thus quite fragile for the most part. Meanwhile, the music isn’t anything special either. Although the film has a few songs, almost all of them are forgetful. Direction-wise, Gumm offers no charm. For a film which poses as a thriller, direction and editing need to be stronger. From camera work to framing, there are too many shortcomings in the film to list down here. 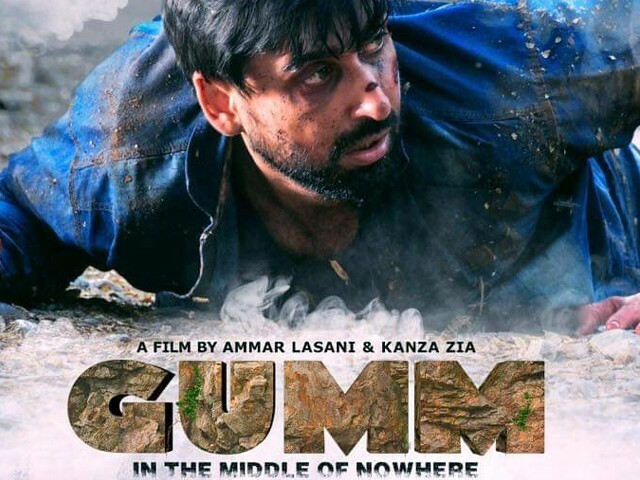 Gumm is based on The Wrecked, and one only needs to watch its trailer and compare it with Gumm’s to understand exactly how much it has inspired the Pakistani version. Gumm also loosely reminded me of the Sanjay Dutt starrer Tathastu. Overall, Gumm does have certain redeeming factors. It’s a bold attempt by Pakistani filmmakers to create something that is not a typical masala entertainer. The filmmakers have dared to be experimental, and this in itself is laudable. If only they could have managed a better script, engaging dialogues, effective music and superlative direction, then this had the potential to be known as a great attempt. We await the verdict of real critics, ordinary people who buy the ticket to watch the film.